Samsung is still cleaning up the mess created by the previously-beloved Galaxy Note 7. With some earlier problems, all the US carriers have now confirmed to send software updates to Samsung Galaxy Note 7 to permanently disable the device. If you are a Samsung user looking for the big update, beware as the next update won’t bring you Nougat, but will render your Note 7 useless. The South Korean phone maker has been pleading the Note 7 owners to return their devices. However, many are still out in the wild posing possible threats. On December 9, Samsung reported that only 93% of Note 7 devices have been returned in the United States. T-Mobile is the first US carrier that had set a date for today’s update a couple of weeks ago following Samsung’s announcement. 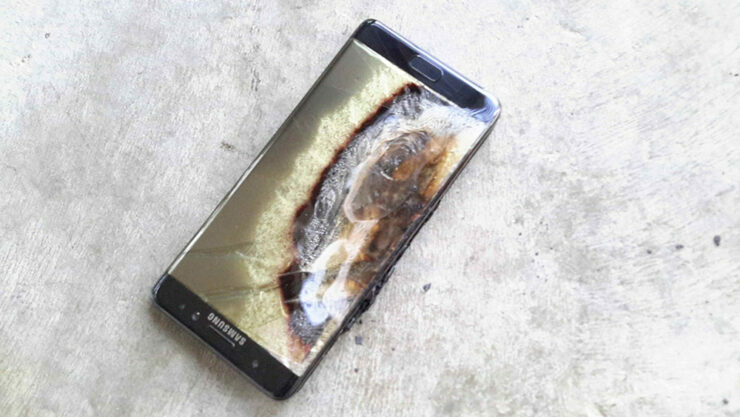 After today’s update to T-Mobile Samsung Galaxy Note 7, your device will no longer be able to hold a charge, hopefully forcing you to finally return your device. The charge killing update is rolling out as Baseband Version N930TUVU2APL2 and weighs in at 113.75 MB. Requirements for this update include having at least a 30% charge. The update will “send an on-screen notification about the recall with action steps to take and will prevent the charge ability of the device,” the changelog reads. One missing feature from this changelog is eliminating the cellular capability of the device as Samsung had previously promised. The updates “will prevent U.S. Galaxy Note 7 devices from charging and will eliminate their ability to work as mobile devices,” the company had said. However, we don’t have any user reports confirming yet if T-Mobile has indeed killed the cellular capabilities of the Note 7 devices. Following T-Mobile, AT&T and Verizon are set to release this update to Samsung Galaxy Note 7 on January 5, and Sprint on January 8. The South Korean tech giant and US carriers hope that these software updates will hopefully help the company get all the Note 7 devices back to its offices. Although reports have claimed the company is aware of the reasons, Samsung is yet to offer a technical explanation of what caused their Note 7 to explode. If any of our readers are still holding on to their Galaxy Note 7 devices, you can head over to Samsung’s dedicated recall site for help on your options. To install today’s update, go to Settings > General management > Software update > Download updates manually.